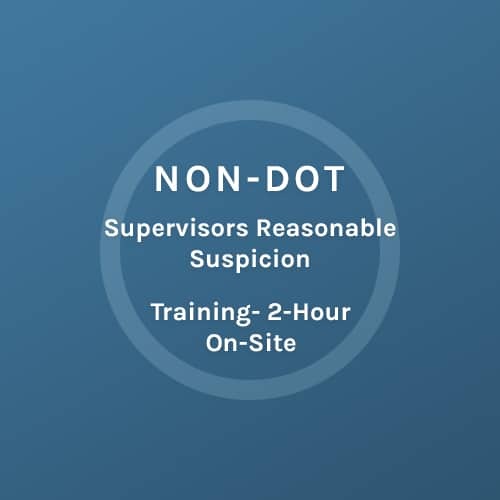 Supervisor’s can be the first line of defense in identifying employees who may be exhibiting the signs and symptoms of drug or alcohol impairment. Some Supervisors may have seen indications of drug impairment but are hesitant to report this use in fear of not being right or being accused of “targeting” for numerous reasons. Throughout this course the supervisor will have the opportunity to ask questions and interact with the instructor and other attendees in gaining further knowledge and understanding of how this training can become an asset in accomplishing workplace safety and compliance.